Note: This feature is only applicable for "Account Owner" type's users. There are 4 account types in Dragon Metrics: Account Owner, Manager, Standard Users and Read-only Users. Each Dragon Metrics account will only have one account owner, so you cannot create other account owners. 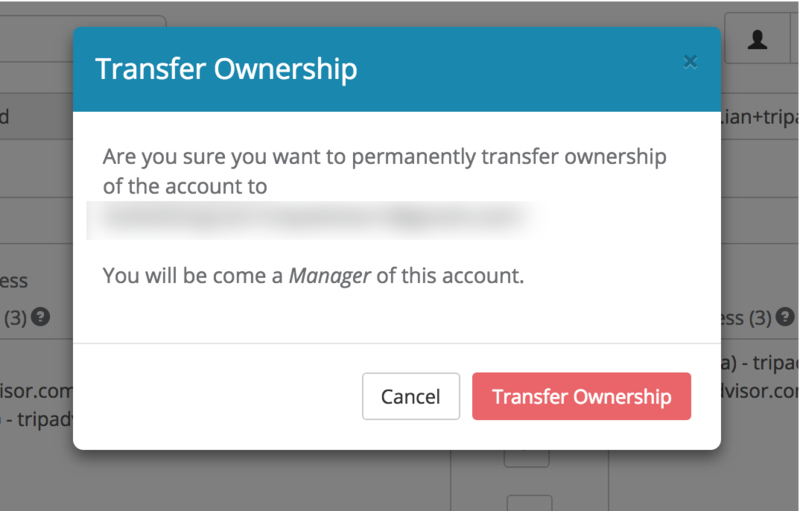 However, you can transfer ownership to an existing user. 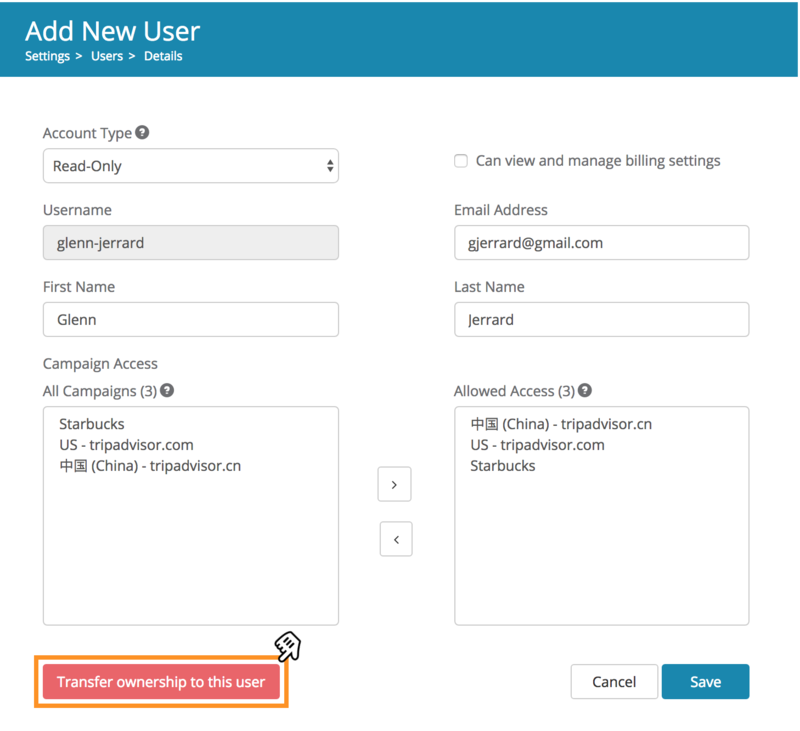 This will make the current account owner a Manager, you can perform this step in the Edit User page. To get to the Edit User page, click on the Gear icon on the top right of the user interface, and click Users under it.